4.1 out of 5 based on 45 bloggers and 5 commenters. 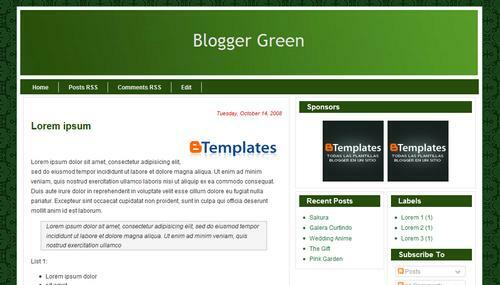 Blogger Green is a free blogger template with 3 columns, right sidebar, minimalist and neutral colors. I will use this for my blog. I would like to know how to use it… i copy and paste this codes in my blogger and i cannot open the blog… Somebody can help me? What have i made wrong?